The general public, especially UTME candidates, who applied to Ladoke Akintola University of Technology (LAUTECH) for admission during the 2017/2018 academic session and participated in the post UTME screening exercise, are hereby notified that the admission list of successful candidates has been released. 1. 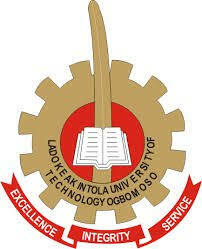 Go to LAUTECH admission status checking portal at http://portal.lautech.edu.ng/fresher/status/. 2. Enter your registration number where required. All successful applicants are expected to pay an Acceptance Fee, a Medical Fee, the appropriate Tuition Fee and the Student Union Fee. Read Also: LAUTECH Academic Calendar For 2017/2018 Academic Session and LAUTECH Acceptance Fee and School Fees Schedule.